Lately people have been spendingplenty of time and money in decorating their homes. With prosperity comes the need to upgrade living standards,and doing up the interior has become the norm. 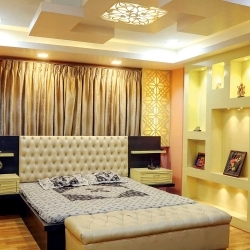 More and more people are hiring interior decorators to make their rooms more appealing. There was a time when most people did not put much effort into décor but times have changed and homeowners are more conscious about design and decor. 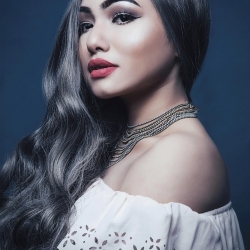 When an individual buys a new home it takes them months to design and decorate it with the best wallpapers, carpets, chandeliers etc.,and giving thought to the smallest details. Everyone wants their home to look good and bring good fate.Some household items hold deep meaning and supposedly bringgoodluck. The notion that elephants bring good luck goes back a long way in history. The elephant is a symbol of strength, power, stability and wisdom. Hence, elephant statues are popular worldwide. 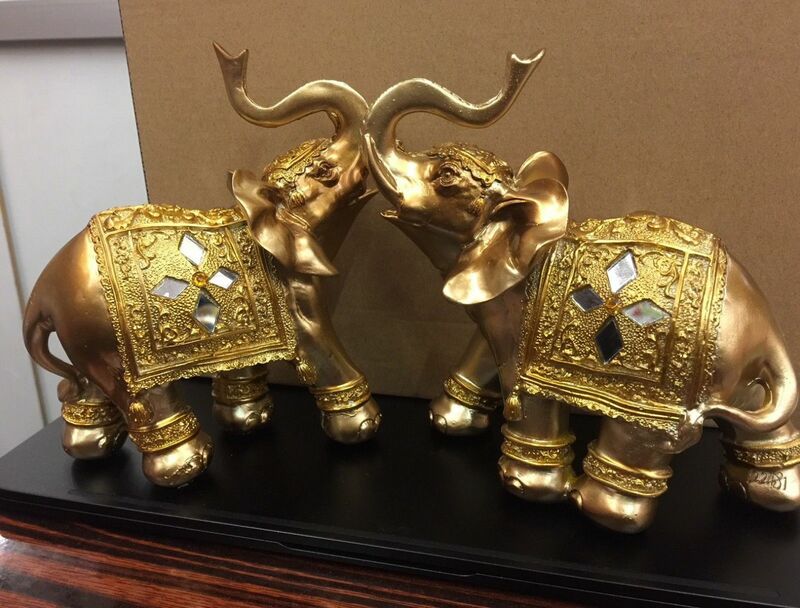 It is a common belief that an elephant statue or picture should always face the door if you want to bring good luck into the house.It also protects the home when it faces the entrance making sure only good fortune passes through. The elephant is considered to be a symbol of good fortune in many cultures, even modern western ones. This veneration originated in India and south-east Asia, where the Hindu religion is particularly responsible for much of the honor bestowed to these animals. The Hindu god, Ganesha, with the head of an elephant, is their god of wisdom and success and also the remover of obstacles. Lucky Bamboo is a plant that is well-known for bringing good luck and is one of the essential elements of FengShui. 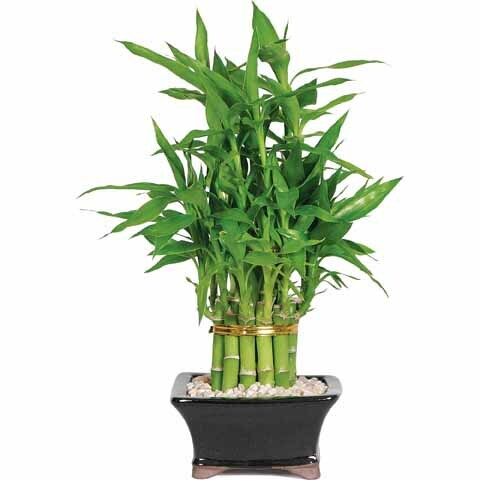 Lucky Bamboo is very easy to grow and enhances the décor of your home. 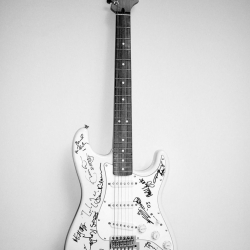 It is supposed to bring positive energy into your home or office or into the surroundings by its mere presence. Since the south east side is said to be the zone of money and wealth, placing the lucky bamboo in this region can help improve the wealth of your family, create a sense of balance and safety and bring positivity and abundance in your home.Much of the luck that is associated with bamboo comes from the number of stalks bunched together or woven together into an arrangement. The number of stalks determines the kinds of energy the plant attracts into your home and life. The more stalks, the greater the blessings of good fortune and luck. The Laughing Buddha is cherished all over the world. His images are found in homes and places of business and so on. The Laughing Buddha is the Buddha of abundance and happiness. He is also known as the “Buddha of Wealth”. It is widely believed that he will bring wealth and prosperity to a home or business.Many claim he makes problems disappear. 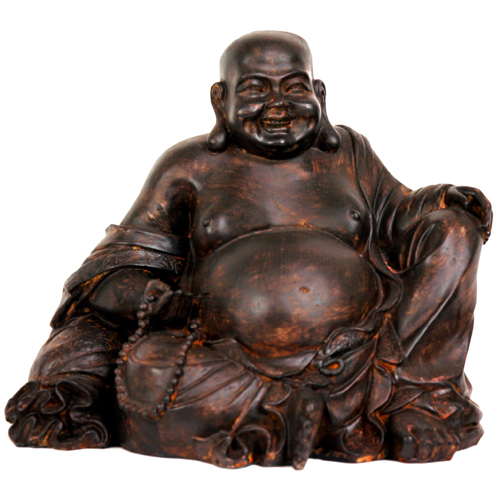 Keeping the Laughing Buddha in the home ensures a happy home and who does not want to be happy?Many believe that if you rub his stomach daily he will see to it that your wishes are granted. But when you do rub his stomach,be sure to do it with a positive attitude. The gesture should be uplifting to your spirits and make you feel happy. The statue must also always be kept clean. A Laughing Buddha covered in dust will not do you any good. 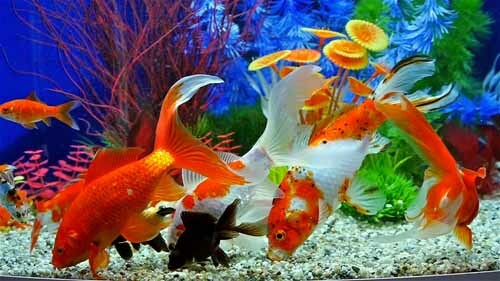 Goldfishes are one of the most popular aquarium fishes in the world. Wherever there are tanks, whether in houses, hotels, malls, or parks, there will invariably be goldfishes in these aquariums. They are adored for their beautiful colors and body configurations.The goldfish is used to attract money like a magnet;Its golden color brings the desired association with gold, and their gracious movement creates good energy in the area where the aquarium is placed.It is considered a good energy source in your house and apart from being a lucky charm, goldfishes are also known to be beautiful and attractive fishes that add beauty to your interior. 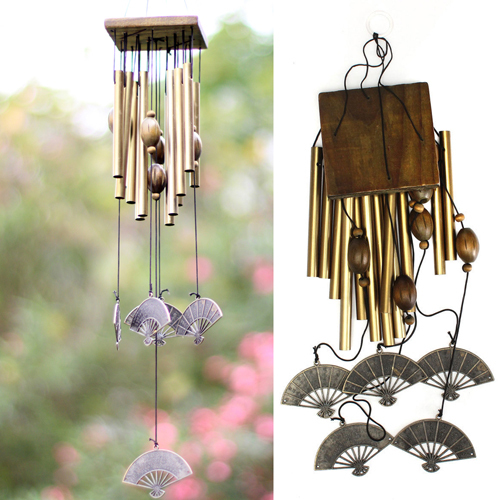 Wind chimes can bring good fortune to your home. It is said that there is a constant flow of energy around us in the whole universe. 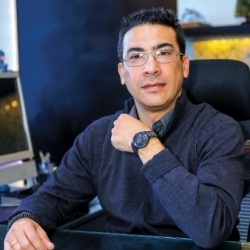 This energy can be influenced by many things, such as thoughts, symbols or objects to name a few, in a direction to create more beneficial effects for ourselves and our surroundings.Wind chimes have been used for centuries and are the most powerful enhancers and cure for various situations. Sound is used for clearing and cleansing negative energies, so that the environment is once more harmonious. Wind chimes promote a constant flow of beneficial energy attracting happiness, good fortune, good luck and prosperity. To attract money or accumulate wealth, wind chimes are placed in areas of your home where the energy has the most influence on your wealth. Pyramids are meant to help you in all aspects of life, be it in love, business or health. 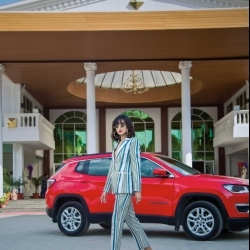 According to the Pyravastu terms, the meaning of wealth and prosperity has far greater implications. Using pyramids can help bring abundance into your life and provide you with the kind of enrichment that will bring true happiness.It is very important to protect your main door from all evil energies. 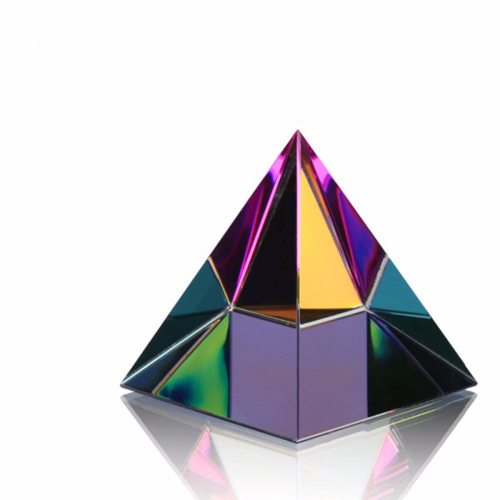 A pyramid can be used at the entrance of your house to provide safety and for purifying the negative energy within. A dragon is the most highly revered symbol, extremely auspicious and always treated with the highest sense of veneration.Extensively worshipped in the Chinese culture,the presence of pictures or symbols ofthe dragon attract positive energy of good luck. 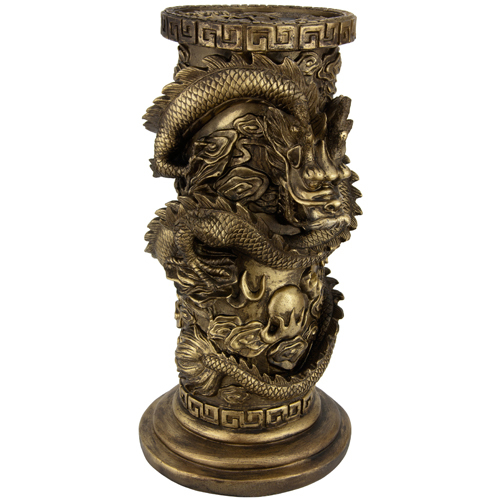 An idol of the dragon in your home or office attracts powerful energy that stimulates the raving growth of wealth.Dragons are exuberant, playful, beneficent creatures that live on land as well as in water and in the air. They are associated with spring rains and water and are a symbol of abundant life, strength, fertility, and prosperity. 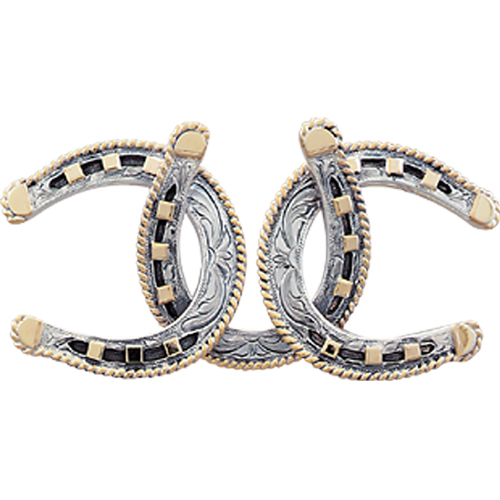 The origin of the horseshoe as a symbol of luck is linked to myths and legends from time immemorial. The hoofed devil was said to have donned horse shoes and was told never to enter a home with a horse shoe above the door. Witches were believed to fear horses, so hanging a horseshoe warded them off as well. Those witches who were burned at the stake and then buried had horseshoes nailed to their coffins to prevent their resurrection.The horseshoe is believed to keep the negative energy and the devil away, thus protecting you house, bringing good luck and positive energy. Whether you believe in the legend or not, you have to admit, a horseshoe hanging above a door makes for good decor.